There are a few navigation tools that every true sailor needs to keep in the cabin to safely navigate their course. Measuring the distance between two points on a chart is made easier with dividers. The dividers allow you to measure distance in nautical miles when used in conjunction with the latitude scale of your nautical map. Place one point of the dividers at point A and the other point of the dividers at point B. Keeping the same spread measure the distance on the latitude scale. If it’s 20 minutes of latitude, then the distance is 20 nautical miles, i.e. 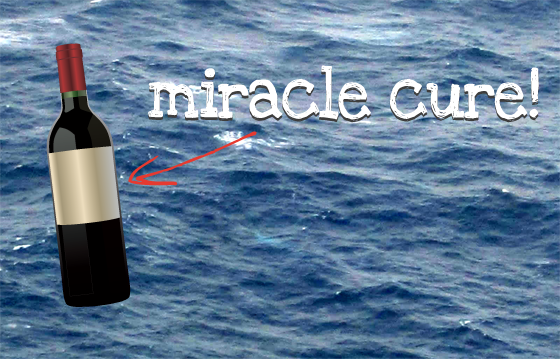 one minute is one nautical mile. Remember to only ever measure by latitude because longitude is different depending how far north or south you are. For measuring distances that are longer than your dividers, set the dividers to a whole number then rotate the dividers end to end and then add up the number of rotations. These 8” single hand brass dividers are manufactured from solid brass with non-magnetic stainless steel triangular points. The deluxe 8” one hand brass dividers are as beautiful as they are functional with the divider handle made of brass and tapered sides finished in a bright marine alloy. Both dividers can be opened and closed with one hand while completing your chart work. A technical drawing instrument used for inscribing circles and arcs and to measure distances. 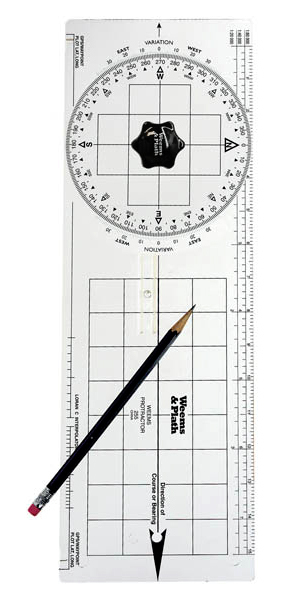 The Chart & Map Shop stocks a quality metal compass with adjustable knees to allow for precise, small diameter circles. It has a maximum drawing circle of 230mm. The compass comes complete with 2mm replacement leads and additional screws and nuts. 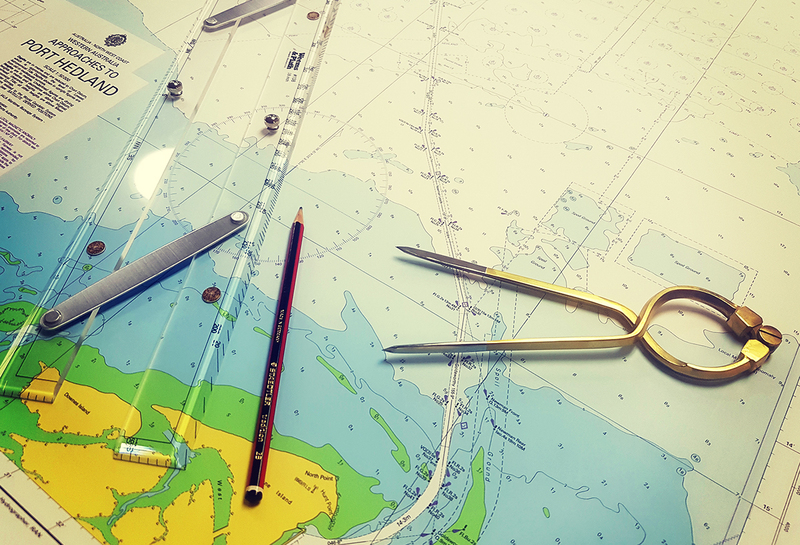 Plot direction on your nautical chart with a parallel ruler. With two straight edged hinges, a parallel ruler allows you to maintain the same angle along the chart by alternating the moving edge and holding down the non-moving edge. To work out the direction between two points on your chart, line up the rulers with the two points then step the ruler to the nearest compass rose. The 15” parallel rulers by Weems & Plath are sturdy acrylic parallel rulers with aluminium arms. If you are looking for a little more luxury try the 15” brass arms parallel rulers. The Chart & Map Shop also stock the parallel rulers in 12 inch, 18 inch and 24 inch sizes. There is a range of protractors available depending on your personal preference which may be based on the one you used in school. The Weems Protractor is used to lay off course or bearing, measure distance between any two points, plot a position on a chart from a given set of coordinates, or determine coordinates of position on a chart. For more detail see instructions for #255 Weems Protractor. If you are more familiar with the triangular variety, try the Protractor Triangle with Handles with its protractor scales. 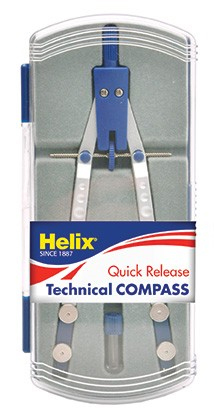 This protractor triangle’s handle is easily aligned in any direction with a chart meridian. Direction is maintained as one triangle is slid along the other to the desired position. Don’t forget, you’ll need good quality navigation pencils for making notations on the chart and in the navigation log. If you have any questions about navigation tools and packs, don’t hesitate to call (08) 9335 8665 or visit us in-store.